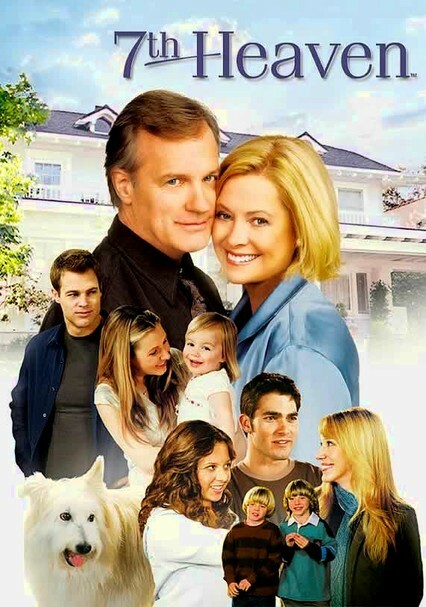 This lighthearted family drama follows the Camden family -- led by minister dad Eric (Stephen Collins) and homemaker mom Annie (Catherine Hicks) -- as they maneuver through life and learn right from wrong, frequently through trial and error. Eric and Annie's brood includes eldest son Matt (Barry Watson), tomboy Mary (Jessica Biel), prissy Lucy (Beverley Mitchell), good-boy Simon (David Gallagher) and bright young Ruthie (Mackenzie Rosman). 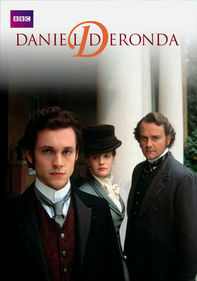 The Camden family, helmed by Rev. 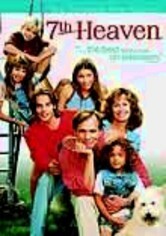 Eric (Stephen Collins) and his homemaker wife, Annie (Catherine Hicks), love more deeply and learn lessons as they face life's ups and downs alongside their five children, Matt (Barry Watson), Mary (Jessica Biel), Lucy (Beverley Mitchell), Simon (David Gallagher) and Ruthie (Mackenzie Rosman). 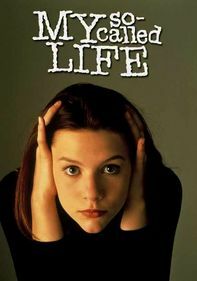 In Season 1, Mary makes her singing debut, Eric wants to hire an ex-convict and Matt has a suspicious girlfriend. 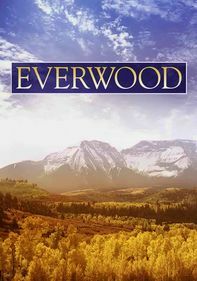 Life with the Camden clan, a devoted Christian family, may be wholesome, but it's never dull. 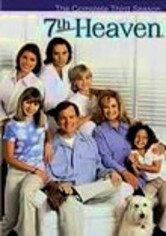 The popular drama's third season begins with a bang when Annie (Catherine Hicks) discovers that she'll be giving birth to twins. Other episodes focus on romance as Matt (Barry Watson) begins dating a former girlfriend, Lucy (Beverley Mitchell) finds herself with multiple suitors and Simon (David Gallagher) frets over the anguish of first love. The Camdens face a hectic year in the sixth season of this family drama as Mary (Jessica Biel) tries to solve her problems by leaving town, returning to attend college with Lucy (Beverley Mitchell), and then moving away again. 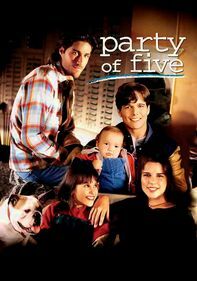 Meanwhile, Matt (Barry Watson) gets accepted at a prestigious medical school and plans to marry his Jewish girlfriend, forcing his father (Stephen Collins) to confront some difficult questions. Despite growing up and apart, the Camdens continue to rely on one another to sort through serious issues. In the popular show's seventh season, nomadic Mary (Jessica Biel) moves to Florida and gets involved with a pilot, and Lucy (Beverley Mitchell) dates a policeman who lives above the family's garage. In other developments, family patriarch Eric (Stephen Collins) undergoes heart surgery, and Ruthie (Mackenzie Rosman) befriends a troubled boy. Trouble comes to Glen Oak in this family drama's eighth year. As newlyweds Lucy (Beverley Mitchell) and Kevin (George Stults) struggle through their first year of marriage, the Camdens cope with the fallout from Mary's secret wedding and Simon's car accident. Meanwhile, the friendship between Ruthie (Mackenzie Rosman) and Peter is tested when his long-lost father shows up, and a stranger (Tyler Hoechlin) insinuates himself into the Camden family. The ninth season of this long-running family drama brings new challenges to the Camden household as Simon (David Gallagher) gets serious about his girlfriends -- prompting concern from his parents -- while Lucy (Beverley Mitchell) deals with complications in her pregnancy. Also, Ruthie (Mackenzie Rosman) lands in hot water at school, Martin (Tyler Hoechlin) begins acting up, and Lucy becomes associate pastor at her father's church. In this popular family show's 10th year, the Camdens tackle further challenges in life and love. Lucy (Beverley Mitchell) discovers that being an associate pastor at her father's church is hard work, and Martin (Tyler Hoechlin) deals with the pregnancy of his girlfriend (Haylie Duff). Meanwhile, Simon (David Gallagher) bounces between girlfriends -- but which one does he really have feelings for? Later, Matt (Barry Watson) and his wife share some big news. 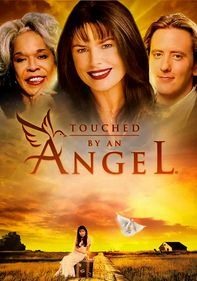 The 11th season of this long-running drama series begins with distressing news when Camden family patriarch Eric (Stephen Collins) learns that his health prognosis is not very promising, to say the least, which worries Annie. Meanwhile, Lucy (Beverley Mitchell) and Kevin (George Stults) mourn the loss of their sons; Ruthie (Mackenzie Rosman) journeys overseas as part of a student exchange program; and Simon (David Gallagher) attends college.